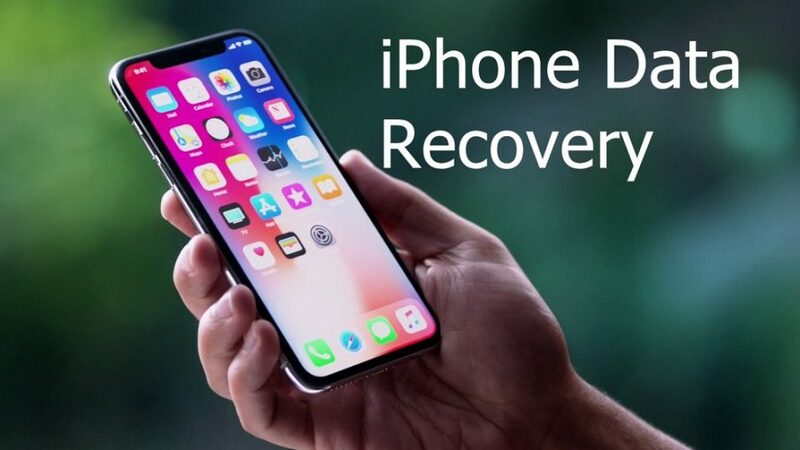 There are several occasions when you may need to recover data lost from your iPhone, such as following a jailbreak, the accidental deletion of photos or videos, for an update of the operating system, etc. No matter what the cause, this program will help you easily recover lost data. 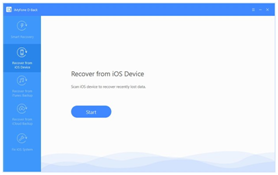 If you have deleted data accidentally or lost data after an iOS or jailbreak update, don’t worry you can try to recover them quickly and easily. iMyFone D-Back is amazing program to recover deleted data on iPhone, including photos, SMS, notes, recent calls, chat WhatsApp, application data (Instagram, Flickr, iPhoto, iMovie, Kindle) and other files from iPhone. Recover lost or deleted iPhone, iPad, iPod touch data with iMyFone D-Back iPhone Data Recovery, easy and it provides different ways of data recovery and fix various iOS issues without data loss. With this mode you can recover deleted files on iPhone even without a backup file. Connect your iPhone to the PC via USB. Launch iMyFone D-Back go to option “Restore from iOS device” and click on “start”. Choose the data you want to search in the memory of the iPhone and then click on the button on the bottom right to start scanning the memory of the device. 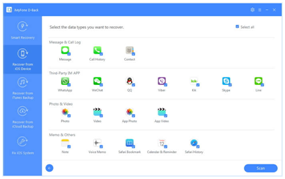 Step 3 – Preview contacts, text messages, chats, notes, photos, etc. Click on one of these folders on the left to preview the detail of the recoverable files. Select the files you want to recover and click on “Recover”. Then specify a folder on your PC where you can save these files. Have you recently made a backup of your iPhone with iTunes? In this case you can use iMyFone D-Back to recover data from that backup. The backup file generated by iTunes not easily managed with the usual text editor programs. You need iMyFone D-Back to view and extract data from this backup. Launch iMyFone D-Back and select the option “Recover from iTunes Backup”. The program will automatically find the iTunes backup files on your PC. Choose the one to analyze and click on “Scan” to proceed. After scanning all files will be previewed from the central screen of the program. 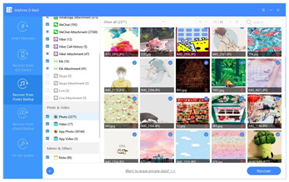 Choose the files you need (photos, messages, contacts, notes, etc.) and click on “Recover” to save them on your PC. In the end, iMyFone D-Back is a very powerful software that supports multiple iOS devices. You can use this program both on Windows and Mac computers. iMyFone D-Back is designed to recover files from iPhone, iPod Touch and iPad, and also fix many iOS issues within few clicks.